Automotive sunroofs refer to fixed or operable roof openings that come with a retractable fiber or glass panel that allows light or air to penetrate the compartment of passengers. Automotive sunroofs are either driven by motors or are manually operated. Automotive sunroofs have experienced a lot of evolution in the last few years and have transformed itself from just being a mere feature of style in premium cars to an accessory with many applications such as rooftops that house solar panels. These rooftops are, for example, increasingly are getting incorporated with hybrid and electric cars, complementing batteries that are rechargeable so as to bestow vehicles with more power to go extra miles. Increasing levels of income of consumers across various developing economies like China and India have increased multiple times and so is the spending capacity of the automobile buyers. Such a scenario is forcing manufacturers of automobiles to launch vehicles with an extra aesthetic value. Taking revenue into consideration, Transparency Market Research makes an estimation that the world market for automotive sunroofs valued at around US$ 4,796.0 mn in the year 2016. The said market is prophesied to rise at a healthy growth rate of 11.8 % over the forecast timeframe that extends between the years 2017 and 2025 and is anticipated to reach a valuation of around US$ 12,935.1 mn by 2025. Growing consumer need for comfort and safety together with the burgeoning worldwide demand for premium vehicles are a few of the factors that have been promoting growth of the international market for automotive sunroof. In the last few years, the said market has also substantially benefitted itself from the immense advancement in the field of technology as observed in the materials that are utilized for manufacturing of sunroofs. Manufacturers of sunroofs are increasingly shifting their preference to various long lasting yet high-tech materials such as ethylene propylene diene monomer (EPDM) rubber products and silicone. These materials can also prevent and filter Ultra Violet (UV) rays. The world market for automotive sunroofs has become more competitive with breakthroughs in fixing leakage issues and key technological innovations. Being, the world’s largest vehicle producer, Europe held dominant position in the world market for automotive sunroofs while taking revenue in consideration in the year 2016. The region has accounted for a lion’s share i.e. around 33% of the total market in the year 2016 and has experienced high demand for a wide variety of sunroofs in many countries such as Germany and the U.K. 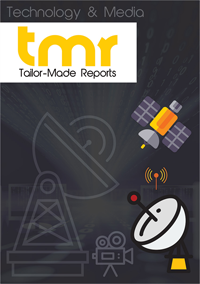 The said market in Europe is estimated to continue as the major contributor of revenue in the said international market over the period of forecast. However the region is prophesized to experience a slowdown due to many not-so-strong economies and the steady shift of manufacturing bases to the region of Asia Pacific. Following the region of Europe, the market for automotive sunroofs in Asia Pacific held for around 26% of the total market and the region is anticipated to rule the world market in terms of growth rate over the period of forecast that extends from the years 2017 to 2025. The regional market for automotive sunroofs is expected to rise at a healthy CAGR of 12.6% from the year 2017 to 2025, with various developing economies such as China and India becoming some of the most promising markets. The sector of automobile in the region of North America is also anticipated to experience healthy rate of growth, due to which the market for automotive sunroofs is anticipated to register steady rate of growth during the forecast period. Likewise, the geographical regional of Middle East and Africa is prophesized to experience an exuberant growth in the automobile sector which will influence the growth of the said market over the period of forecast. There are five leading market vendors that adorn the market and they are Mitsuba Corporation, Valmet Automotive, Yachiyo Industry Co. Ltd., Aisin Seiki Co Ltd., and Webasto SE. These companies collectively accounted for almost 64% of the total market in the year 2016.